My Argentina Travel Guide helps you to plan your trip to Argentina and explore the most incredible places this country has to offer from Salta in the north down to Ushuaia in the very south. Beside useful information on how to prepare I sum up practical tips on things to do, accommodations and outdoor activities you shouldn't miss. Backpacking in Argentina: My Argentina Travel Guide is a clear and concise 100 page eBook based on my experience from more than 3 months traveling through Argentina. 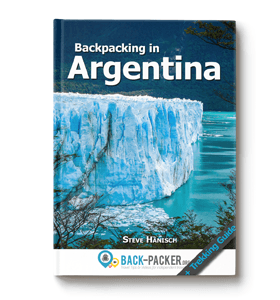 This ebook includes travel guides for the several regions of Argentina as well as a tiny trekking guide for El Chaltén and Ushuaia (route itineraries for recommended hikes). Checklists are included to help make sure you don’t forget anything. This eBook is designed to save you a lot of time & make your trip much easier. You can easily purchase this eBook through Amazon for your Kindle or any other electronic device such as your PC/Mac, Smartphone or Tablet (you only need the free Kindle App). After the purchase you can download the eBook and take it with you wherever you go! Argentina Resources: Helpful websites, blogs, recommended travel guides, maps and trekking guides to ensure best preparation possible! So you want to know to it all? Find the Table of contents below to see what you get for your $$$! 100+ Pages of practical tips, recommendations and detailed information for your Argentina trip!